Billy Smith was Elvis’ first cousin, the son of Gladys Presley’s oldest brother. Billy was 8 years younger than Elvis and grew up with him in Tupelo. 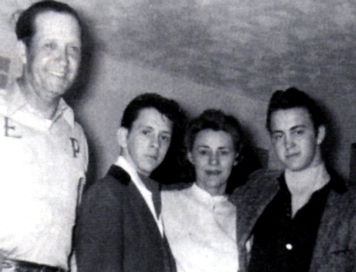 Billy’s family also went with the Presleys when they first moved to Memphis. When Elvis bought Graceland Billy’s family also moved in and his father Travis worked for Elvis as Chief guard. When Billy was old enough he started working with the ‘Memphis Mafia’ team. Once married he & his wife Jo lived behind the main Graceland house except for a few years when Billy worked on the railroad. They were true family and were in Elvis’ company to the very final day. Being both family, and also a member of the ‘Memphis Mafia’, Billy Smith was probably the closest friend that Elvis ever had. Billy lives in Mississippi & is still working as a machine specialist in a steel manufacturing company. Billy Smith, Marty Lacker & Lamar Fike have all recently been involved in the re-issue of the excellent book ‘Elvis & The Memphis Mafia’. 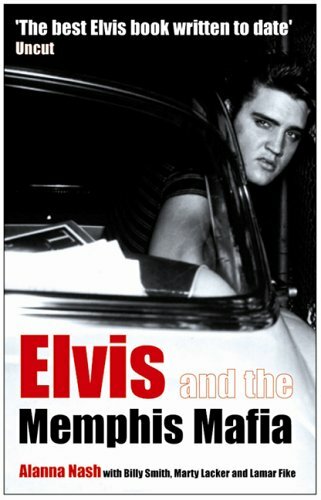 At nearly 800 pages the book is justifiably acclaimed as one of the best ever books published about Elvis. Click here for our full review. EIN regularly gets asked questions relating to Billy Smith & his life with Elvis, so we sincerely thank him for taking time out of his busy life for this long interview. Here, in Part One, Billy talks about his family, the Memphis Mafia, the Movie Years, meeting The Beatles and much much more. Billy Smith with his parents Travis & Lorraine Smith, and his brother Bobby on the right. EIN: What’s your earliest memory of Elvis? Do you remember Elvis singing to you or the family before he became famous? Billy Smith: I do remember him singing a lot for the family and different ones. He always had a love for music even at very young age. Very early on I remember once when Elvis pulled me out of a garbage can! I fell in head first. I was little, and I was trying to get some bananas out that the man from the fruit stand had thrown away. Elvis saw me as he passed and pulled me out! EIN: As most people know, Elvis’ father Vernon went to jail for forging a cheque. Is it true that your father also went to the penitentiary but that Elvis grand-father bailed Travis out & left Vernon in jail? That seems very strange. Billy: Well it's true that my father, Travis, went to the penitentiary with Vernon, but Vernon got out of prison a few months before my father because of good behavior. Elvis' grandfather got my father out of jail and left Vernon there when it first happened. He said it would teach him a lesson. EIN: When you first arrived in Memphis you lived in the same house as The Presleys in Washington Street. What do you remember of that time and how different was it from life in Tupelo? Can you remember how the city move affected Elvis? Billy: Well for one thing, we had inside plumbing! That was a lot different and I remember that it took a while for everyone to get jobs, and one of my daddy's cousins stole all the money we had, and my daddy's new socks. He was more upset and mad over the socks. Uncle Vernon and Daddy looked for jobs and they even wore out the soles of their shoes. I remember them cutting pasteboard to put in their shoes to cover the holes. We had to eat turnip greens for a month. Elvis swore that he would never touch another one after that, and I don't guess he ever did. EIN: Perhaps Elvis' most famous abode before becoming famous was the Lauderdale Courts apartment. There is often talk of Elvis practising with Johnny Burnette and his brother around this time. Do you recall any of this & were you lucky enough to see Elvis first play in a kind’ rock n roll band? Billy: I don't remember anything about him practicing with Johnny Burnett or his brother. As far as I know, that didn't happen. And, whenever we were able, we always went to see him, especially local. Elvis was always my hero. And we were always close, even with the eight year age difference. He always looked after me, and I always wanted to be with him. EIN: Do you remember any build up to Elvis recording his first record or practising with Scotty Moore & Bill Black? Was it talked about within the family or was it a surprise for you when your cousin was suddenly on the radio? Billy: He did practice, but it was at the studio. He talked about the record to his mother and daddy, and we knew he was going to make one, but when it came out it thrilled all of us. I remember my family went to his house to hear it on the radio for the first time. EIN: What can you tell us of your Aunt Gladys? From an outsider’s view she often appears sad, as she has that particular look in the photos after Elvis became famous. Billy: Aunt Gladys was a good person. I actually remember her as an outgoing and fun loving person. . . She was always laughing & carrying on. But those photos of her later on make her look sad because she was sick, as well as being sad about Elvis going to the army. She was generous like Elvis, but she also had a quick temper. Elvis and Vernon knew how far to push. She worried a lot, and she was not in good health. She was always close to her family, but Elvis was her heart. She adored him. EIN: Elvis was a gorgeous looking man. Supposedly some of his characteristics were due to Cherokee Indian being in your side of the family. Did you know of this when you were young and were there any family stories of Morning Dove White your gt-gt-gt-gt Grandmother? Billy: Yes, Elvis was a handsome man. Our grandfather was a handsome man. My Daddy (Travis), Aunt Gladys, Aunt Clettes, Uncle Johnny, and Aunt Lillian all had that Cherokee look... Dark skin, dark eyes, and high cheeks. Aunt Lavelle and Uncle Tracy looked like their Daddy . . . blue eyes and lighter skin. We heard stories about Morning Dove, but not that much talk about her. We were told that she was a beautiful woman. EIN: Elvis obviously had a quick temper. Is it true that your Aunt Gladys had the same temper? Did you ever see the bad side of this? Billy: Yes. Elvis and Aunt Gladys had a very quick temper, and I have seen the bad side of both when they were mad or upset. Elvis had a hard time hiding it if something was bothering him. EIN: And what of Vernon? Was he really as lazy as often portrayed - and can you comment on your quote (in the book ‘Elvis & the Memphis Mafia’) that "Vernon always wanted more of everything, except responsibility"! Billy: He was never fond of working. And was late for work many times. He only worked a couple of places before Elvis became famous, unlike Aunt Gladys who had worked at several places before Elvis became famous. EIN: It seems to me that Vernon being employed as Elvis’ financial manager was a terrible mistake. Had Elvis used a trained financial supervisor who knew how to invest then he wouldn’t have had to work so hard in his final years. Billy: One thing Uncle Vernon was good at was numbers, especially if dollar signs were in front of them! And Elvis trusted him. He did lookout for Elvis' interest and his own. EIN: Once Elvis bought Graceland you also moved in with your family? Billy: My father Travis was the first Gate Guard that Elvis had. So when we moved into Graceland Vernon asked my daddy to be the head gate guard, just as he’d been at Elvis’ house on Audubon Drive. We lived in a big-white house that was on the property. That's the same white house that Elvis and I tore down with the bulldozer to make more room to ride the horses. EIN: Few fans know the story of your uncle, Tracy Smith. Please share his story with us. Billy: Uncle Tracy had a fever when he was a child, and it caused him to be slow. He had the intelligence of a twelve year old but he was a kind man. And, he had unbelievable strength. Sometimes Tracy would stay down there at the gate with Daddy and pretend he was a gate guard. He lived with us in that house behind Graceland. Aunt Gladys looked after him as long as she lived, and after her death, he lived with us, and then with some of his sisters. He loved Elvis, and Elvis provided for him. EIN: Can you tell us a little about Junior Smith your other cousin? What was his relationship like with Elvis? Billy: Junior Smith was Gene's older brother and his real name was Carroll. He's in a lot of those Alfred Wertheimer photos from Elvis’ trip to New York. He was sullen and disturbed because of what had happened to him when he was in the army in Korea. I remember him as a fun-loving guy and he hung around a lot with Elvis until Elvis went into the army. Junior looked like the actor Jack Elam. He had his expressions and he even had a bad eye like Elam. Elam always looked like he was about to do something really painful to you. So did Junior! Junior was at my house in my bed when he died. That was in 1960. 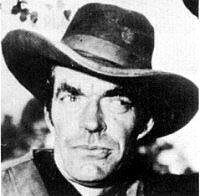 Photo right - Actor Jack Elam, a regular bad guy actor in westerns of the 1950s and 1960s including ‘Gunfight at the O.K. Corral’. EIN: What about your brother Bobby, he died way too young as well? Billy: Yes, my older brother Bobby died in 1968. I lived on Circle G ranch at that time, when we were not in Los Angeles. Bobby and l were always within a mile or two of Elvis. . . We grew up around him and moved to Graceland as young teenagers. I remember once Elvis took us shopping and brought us a complete wardrobe shortly after we moved to Graceland. Can you imagine how we felt living in a place like that? EIN: What about Gene Smith, he seemed to come & go within the group? Is he still alive? Billy: Gene was Elvis' first cousin. He was Junior's brother. Elvis and Gene were close to the same age and were close, especially in the early years. Elvis and Gene even worked together at Precision Tool. Gene worked for Elvis for a number of years and was one of the original Memphis Mafia members, along with Red West & Junior. Gene died a few years ago. EIN: Cousin Billy Mann. In Elvis and the Memphis Mafia it is suggested he was the one who took the "coffin" picture. This seems more than a coincidence as back in 1957 he was also involved in an incident involving $1000 bills. Can you confirm the story? Billy: Yes, Billy Mann was the one who took the picture in the coffin. 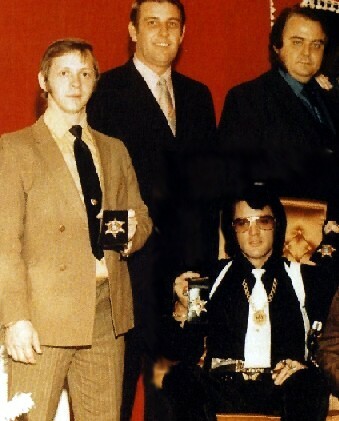 Billy Smith with Shelby County Sheriff Bill Morris, Lamar Fike & Elvis. December 1970. EIN: Billy, you had a particularly special relationship with Elvis and were closer to him than any of the other members of the Memphis Mafia. Please tell us about it. Billy: I was always close to Elvis, but I was his family. Several in our group were close to Elvis at one time or the other. I was always close to Elvis even as a young child. He always seemed to want me around him and was very protective of me. I always loved Elvis very much and would do just about anything to please him and be with him. We could talk about anything, and we did! He felt comfortable with me and trusted me. At least, he always told me did. When he was sick, I usually stayed with him. I usually went to the hospital and stayed with him there. I had so much respect for him. He did a lot for me and my family in the early years and for my family in the later years. He always told me that he loved me. Maybe it's because I was where he was before it all happened, and that was the link. . . we were family. He was my hero. EIN: Your relationship with Elvis is probably best symbolised by 'The Pledge'. How did it come about? Billy: The pledge came about because we had an incident as kids and were never to talk about it. We promised each other. Later on Elvis told someone and it hurt me a lot, and he knew it. He decided to prove to me that it would never happen again, and that's how the pledge came about. Now it was a known fact among the guys that Elvis couldn't keep a secret, but if it was really important, he did. He never betrayed me again. Nor I him. I don't know where it came from or if Elvis just made it up. But he knew it from memory, and we went over it several times so I could memorize it. Afterwards we both cried like crazy and I'll remember it as long as I live. The first two verses went like this . .
To get inside you need no key. And you who don't can never tell. And you place yours on mine. EIN: I believe that you brought Jerry Schilling into the group. Do you still see him or have any contact? Billy: I saw Jerry at Richard's (Davis) funeral about two years ago. All the guys in our group were extremely close. We were like brothers. Some closer than others, but still we stood up for each other no matter what. It was a very strong bond, and Elvis was the center of it all. We all loved him and had a job to do. Some did better than others, but still we each had a purpose. I talked to Elvis about hiring Jerry. Jerry was always nice to me and my family and to my Mother and Daddy, and I will always remember him for that. EIN: There are tales of Joe Esposito being paid by both Elvis and Colonel Parker and that The Col used him to spy on Elvis. Can you tell us if this is true? Billy: I don't know about Joe being paid by Colonel. But The Colonel tried to get information out of us all. Joe could tolerate Colonel better than some of the others. EIN: What did you make of Larry Geller? Billy: Larry Geller was okay. I don't agree with some of the tales he tells, but Larry was there for a while. He seems to remember his importance more than some of the other guys remember it. But, why bust his bubble. As I said, everyone had a job to do. Larry was his hair dresser. EIN: In the mid-sixties Elvis seemed to need a new avenue of exploration or interest. Reading seemed to have been a major preoccupation of his. What did you see of his personal quest at the time and his visits to the Self Realization Park? Billy: Elvis loved to read. He had a thirst to learn new things. He was amazed at some of his findings, and he made sure that we all were aware of them. We have spent days in his room reading and studying. Elvis was very intelligent. Elvis enjoyed the Self Realization Park. He said it gave him a peace within, and, if it did, well, that was good. He deserved to have peace of mind. Elvis never changed his belief in God or Jesus Christ. We talked about religion so much. But, he never criticized other religions either. Elvis was very open-minded. EIN: Is it true that in 1977 Elvis asked you to become Chief foreman and that he considered getting rid of The Colonel once again and even Joe Esposito? What Elvis serious about changing things? Billy: Elvis did ask me to become foreman, and he talked about getting rid of several people. I know that Elvis loved Colonel, but he also had resentment toward him for holding him back on certain things that he really wanted to do. One thing was to tour Europe. He talked about it many, many times, and we all looked forward to the day that happened. Unfortunately, it never came to pass. EIN: Did you always travel with Elvis to film the movies? 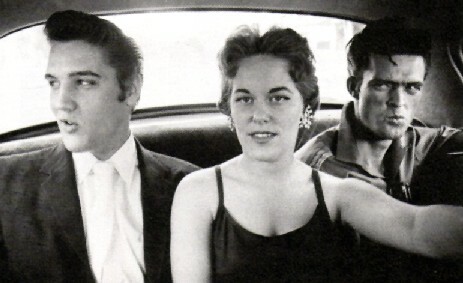 Billy: I was travelling with Elvis for almost every one of the movies. I missed a few due to sickness in my family. l, like most the guys, was in many of his movies as an extra. Elvis tried to see to it that we all worked in his movies. He liked his guys around him. He trusted us. EIN: What are your chief memories of the times working on the movies? Were they fun or boring as a bystander? Billy: With Elvis, all the movies were fun. He made it a good time. All the crew loved him, and they were always so nice to his boys (us). We had so many memorable times on the set!! EIN: Do you remember when Elvis started complaining about the quality of his movies going downhill? Billy: Yes, l remember when he was discouraged about the quality of his movies. He said they were all just alike, basically. He wanted stronger roles. But his movies made money, and Colonel didn't want to change the format. 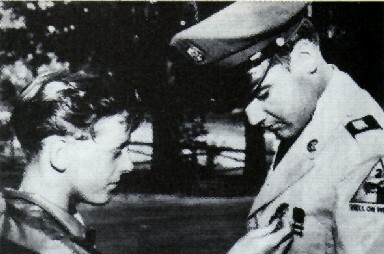 Billy with Elvis before leaving for Germany & the army in 1958. EIN: After Elvis got back from the army and you married your wife Jo, how did you balance your months in Hollywood with your relationship back home? Did Elvis understand? Billy: Being married was not easy at times. There were a lot of lonely days and nights until Jo started to travel with us. When it was good, it was very good, and when it was bad, it was awful. In the early days no wives were allowed to go, but then, when Priscilla started to go back and forth, so did the wives. The wives also continued to go back and forth after Priscilla was gone. We took our kids with us so it made it a lot better. Then during the touring we were together all the time. Elvis was more understanding, and he wanted someone with him too. EIN: Did you ever visit the studios for Elvis’ recording sessions? Did Elvis ever comment to you about the terrible movie-songs - or did you see his bad reactions for yourself? Billy: Yes, I was with him on many of the recording sessions. "The Memphis Mafia" was with Elvis almost twenty-four hours a day, at least one or two of them. And, in the early days, they lived with him. EIN: I know that you were in Nashville for the ‘Guitar Man’ sessions with Jerry Reed. Did Elvis comment or realise that he was back making great music again, or didn’t his feelings turn around until the American Studios sessions? EIN: Everyone knows about The Beatles visit to see Elvis at home, but you were really there! What was that night like for you – and why didn’t you run a tape recording of it?! Billy: When the Beatles came, we were all excited about getting to meet them. But, we couldn't make a big deal about it in front of Elvis. Elvis always liked to be the "Main Event." All our wives were there. The Beatles came to Elvis' house at 525 Perugia Way in Bel Air, and we all sat around and talked, and they were extremely nice. So down to earth. I will never forget that night and I know Elvis really liked them. The Beatles were excited about meeting him, but when they first got there they were a little quiet and were just kind of feeling him out. Elvis spoke up and said, "If you guys aren't going to say anything, I'm going to bed." They roared with laughter. That broke the ice, and after that, they talked for hours. It was a good meeting. 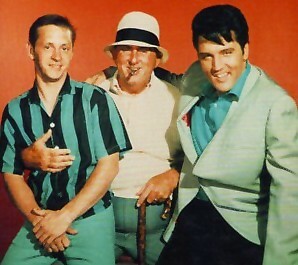 Right: Billy Smith, The Colonel and Elvis all looking jovial in June 1967- about three months after the 'Clambake' incident. EIN: After Elvis’ fall & concussion before Clambake, The Colonel demanded that Elvis burn all his spiritual books. He also tried to distance you all from Elvis by making Joe Esposito head foreman. Can you clarify what happened and how did you feel about this happening being real family? Billy: We were at Rocca Place at that time. We were in the den when Elvis came out and said to us, "I fell and hit my head. I think I need to see a Doctor." He had a pretty good bump on the back of his head. So when he fell and got concussion, I stayed with him day and night. At the time I knew he was pissed at Colonel about something, but he never said what it was. Colonel tried to get rid of some of the guys but it didn't really have any effect on me. Elvis made the rules and decisions when it came to me, and most of the other guys. We were all handpicked by Elvis, and he was very protective of us. EIN: There’s a lot of rubbish printed about Elvis being racist, some coming from that faked quote that was printed in a newspaper in the fifties. Can you clarify once & for all whether you saw Elvis being obviously racist in anyway? Billy: Elvis was southern, and so he joked sometimes. But Elvis had all kinds of people working for him - black, white, Jews, Italians, Mexicans. Greeks.. . Elvis always looked at the person, not what race he or she was. Click here for Part Two: Billy talks about Elvis' Girls, Elvis' Final Years, his relationship with EPE, 'Elvis By The Presleys' and more. Billy Smith was interviewed by Piers Beagley for EIN, January 2006. Copyright Elvis Information Network 2006.